Want to know what I’m working on in the month of July? I’ve teamed up with my friends over at ELK Studio From the Heart and together we are making hats and memory blankets for a charity called Project Sweet Peas. I first became aware of Project Sweet Peas when one of the founders wrote to me thanking me for my Sachets of Love free pattern. Jeanne explained that she would use my pattern to make little hearts for memory boxes to give to families who had lost babies at birth. Wow! This hit home, I wanted more information and reached out to her immediately. Follow this link to read about Project Sweet Peas and if you’d like to join us in providing these much appreciated items, please head over to ELK Studio From the Heart for more information. I will accept items through July 25th, then will package them up and deliver to Project Sweet Peas for distribution. Would love to learn more. The link you provide for Elk Studio From the Heart takes me to facebook and a page that says it is not available. 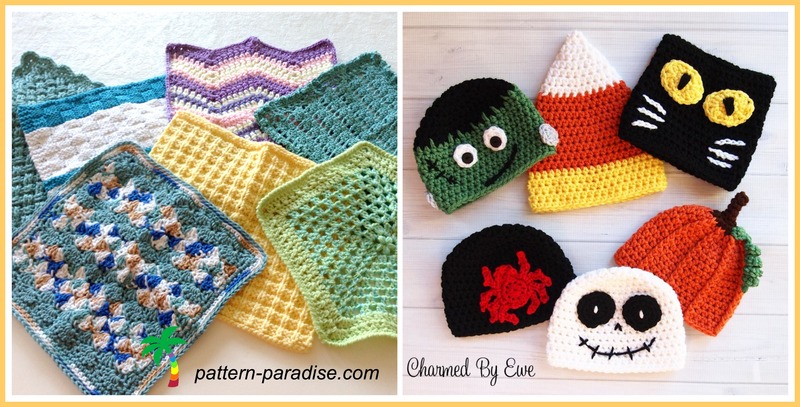 I love to crochet and especially love crocheting for babies, I have 3 grandsons, that are healthy but also know of babies who are not so lucky. I would love to become involved. Here is the link for the website, you should be able to get more information there. We are currently working on the August event. Sorry but I don’t see the link in your reply…maybe something with my computer? This is an awesome cause and I thank you sincerely for working with this group! My youngest daughter lost her beautiful baby boy at birth two years ago.so I know how devastating this can be to a Mom and Dad – and to the entire family. We still miss our little Alex. The caring and love that were given them at the hospital meant so much to them. Thank you and God bless for helping these families.